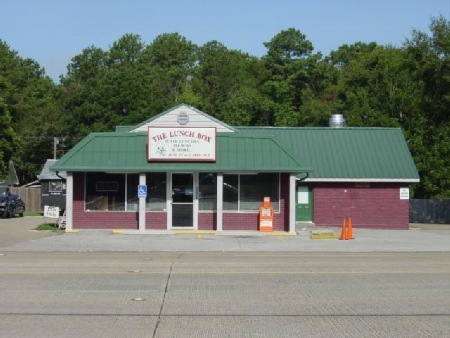 The Lunch Box ,offers patrons a mouth-watering plate lunch menu complimented by tasty poboys and hamburgers, salads, grilled items, gumbo and seafood. We also have added low-carb and low-fat items to our menu. Owner Cline LeBlanc, along with his wife Dolores and children Chad and Stacy grandchildren Molli and Morgan, operate the family-owned eatery. Our customers feel like our restaurant is a meeting place where they can come, have lunch or dinner, and visit with many of their friends.